A consistent and regular HVAC preventive maintenance is the top way to safeguard easy operation and highest performance. Pre-season preservation is also significant. It can avoid a system failure in simple cold or hot weather when you need it most, and your energy bill can also be kept in control effectively. Air pollution can really be harmful and most people are already aware of how the allergies and pollutants affect the lungs, nose and the throat. As a professional, you already know how the air duct or the furnace can be responsible for accumulating pollutants that go viral. Regular cleaning is important to let the system work for a longer period. As part of the business practice, HVAC inspectors/contractors serve many homes, restaurants, and buildings. HVAC checklists are critical for the health and well-being of individuals and thus improves the HVAC business quality. Using an all-weather HVAC maintenance checklist is very important for heating and cooling systems. The presence of mold, dew and moss growth is harmful. Regular inspection is essential in certain areas where harmful growth is not visible. They continue to remain a potential health hazard. Only an expert will recognize the dangerous mold or pet dander, which covers the filters. By the way, homes with pets need filter changes every month. As part of the QC, inspectors have to check if air ducts are insulated. When ducts get moldy, cleaning is not easy. They just need to be replaced. Mold growth should be eliminated completely. But if it re-grows, then the insulation needs to be redone. It is important to check it before the actual cleaning. Which means if one has to do retrofitting, or replacement of air ducts, the insulation inspector will advise the client accordingly. Experts create an awareness about air leakage, dirty air ducts, restricted airflow, the inefficiency of ducts, and even if the system is poorly designed. They explain how the duct issues can be fixed. This is an integral part of the business and the QC. When the temperature of a room needs to be maintained it will pass through the ducts. If the room is not heated or cooling well then the issue is with the ducts. Even dry vent cleaning is essential. The best equipment should be used for cleaning. For example, a truck-mounted Vac system is far better than the ones done manually with bare hands. During summer, condensation lines clog the free flow of air. It needs to be flushed. The cleaner can be sniffed when this action takes place. The best time to clean is before the onset of summer heat. The outdoor unit has the maximum pressure and the HVAC system needs to be functioning at its best. Most inspectors recommend at least a 3-foot clearance around this unit for best results. Is your business ready with these checklists? Whether your business has a maintenance staff in place or subcontracts a company to take care of your building’s HVAC, it is significant to schedule systematic inspections that safeguard the health and safety of an individual. Keeping on schedule ensures preventative maintenance, which in turn helps keep your air systems and ventilation operating at optimal levels throughout the year. 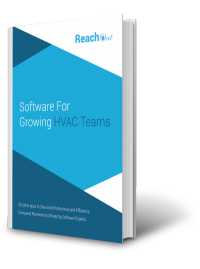 If you are a technician or HVAC contractor new to the market, download this free eBook which will help you identify the best app available in the market. 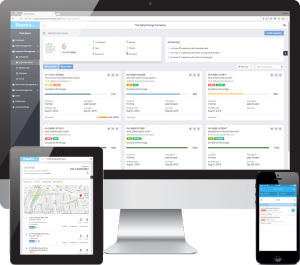 With the advanced field service software which come with configurable HVAC checklists, many HVAC contractors use paper-based checklists to record maintenance, installations or service work in the field. With advanced software, it is possible to create customized and automated checklists in the office so techs can follow or collect data while on-site.